Dr Gareth Evans spent nearly twenty years, developing and implementing commercial R&D, waste/water recycling and pollution control programmes, gaining experience in land and wetland management, project management and pilot plant design/commissioning. He was also responsible for feasibility studies for European 5th framework programme and involved as a consultant on a projects in the UK, Europe, Turkey and Tasmania. A member of the European Federation of Biotechnology, he was then approached to lead the Environmental Biotechnology teaching at the University of Durham. He now writes extensively on environmental, scientific and technical subjects in a variety of international magazines and online media. 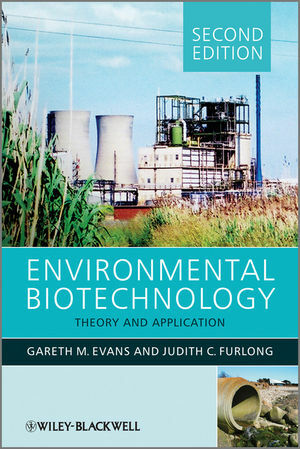 Chapter 1 Introduction to Environmental Biotechnology. Chapter 2 Microbes and Metabolism. Chapter 3 Fundamentals of Biological Intervention. Chapter 4 Pollution and Pollution Control. Chapter 5 Contaminated Land and Bio-remediation. Chapter 6 Aerobes and Effluents. Chapter 7 Phytotechnology and Photosynthesis. Chapter 8 Biotechnology and Waste. Chapter 10 Integrated Environmental Biotechnology. Bibliography and suggested further reading.